Ah. I feel so much better. Living where I do… 20 miles from a tiny store, and 47 from the closest big grocery store… buying in bulk is what I do! Running to the store because I craved something different for supper, just isn’t done. I don’t go to Costco in Billings or Sam’s Club in Casper. I just wait for my local store to have their case lot sale. I missed it last fall and, so, was very happy to wander to Worland on this cold, wet, and gloomy day to restock my shelves. 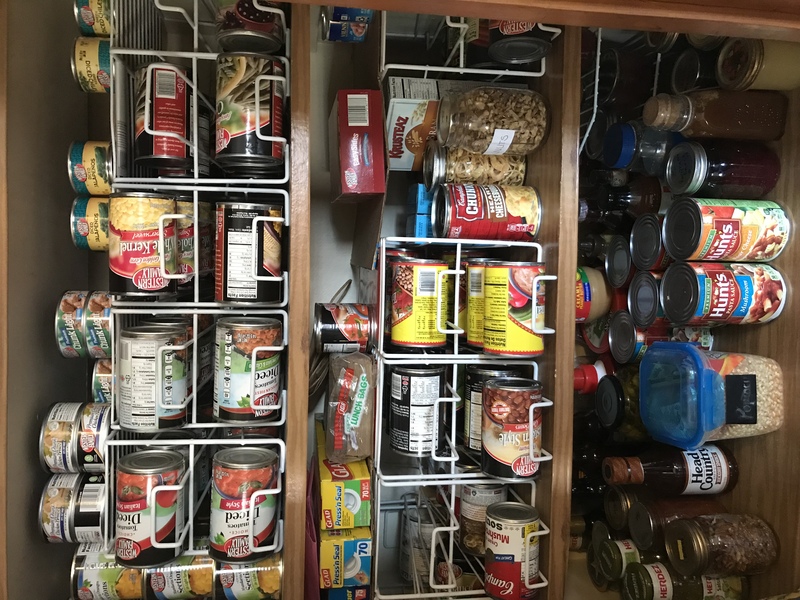 My pantry and I feel so much better! We live in the Mts. Of North Georgia and make our pilgrimage over the mountain to Costco every other month or so. Wouldn’t trade where I live either! In Middle England, I can drive to a store in under 10 mins. Used to walk – 30 mins plus – when my knees were younger, not ideal if you have a lot of shopping. Many supermarkets here will do home deliveries, great for working Mom’s. But in the floods of 2007, living halfway up the hills there was no fear of flooding. However, with rivers overflowing we could not get out of the county and therefore no food could get in. So I’m with you Carol, a small store cupboard is needed. Useful when we can’t get out because of snow. We’ve had a lot of that this winter. And isn’t it so true, that when you get home and put everything away…you start the next grocery list!? Well, I usually do. 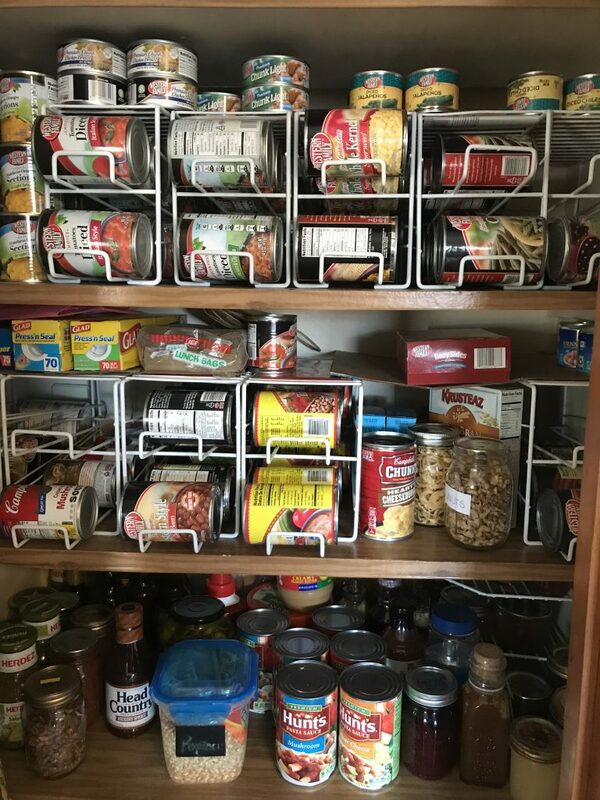 🙂 And, I agree, it is a great feeling having a full, neat pantry! And unless I miss my guess, you have more food stashed in other places – not to mention your freezer(s). Good idea! It’s a long, expensive trip to town. Makes a person feel good to have plenty in the pantry.